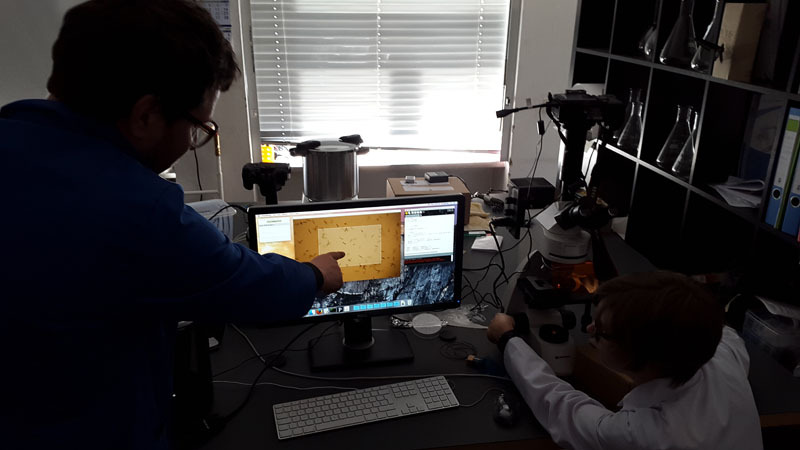 A BioArt/BioGaming workshop in cooperation with Thomas Hawranke about playing with microorganisms (Euglena gracilis). 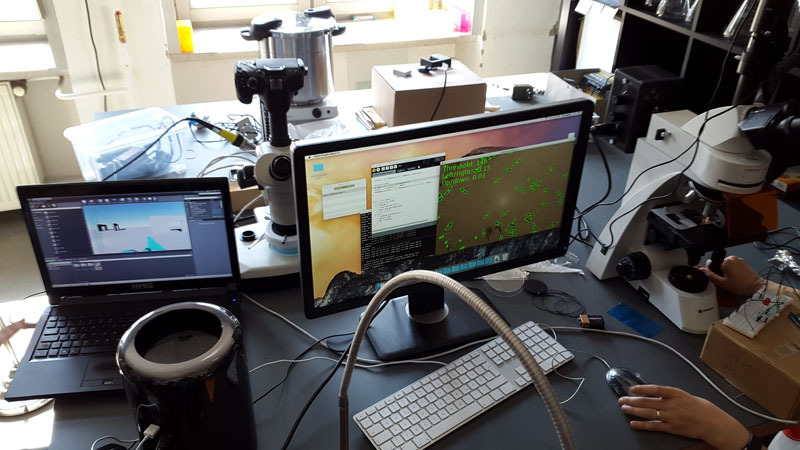 The workshop is held at Bauhaus University Weimar, working with the DIY bioloab at the chair of Media Environments. 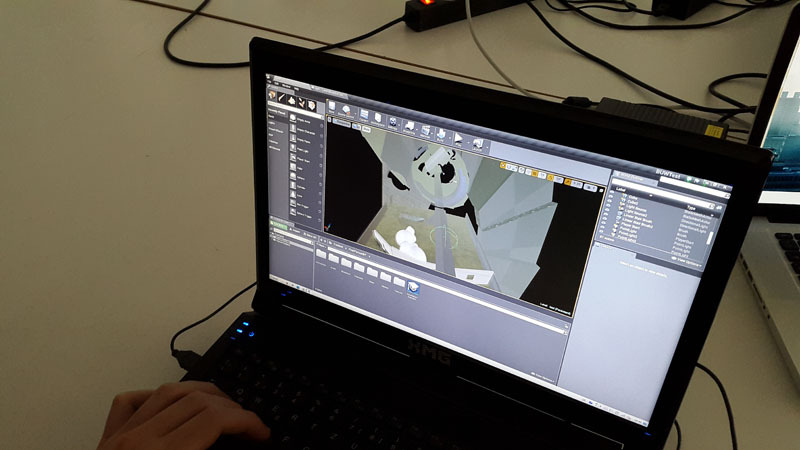 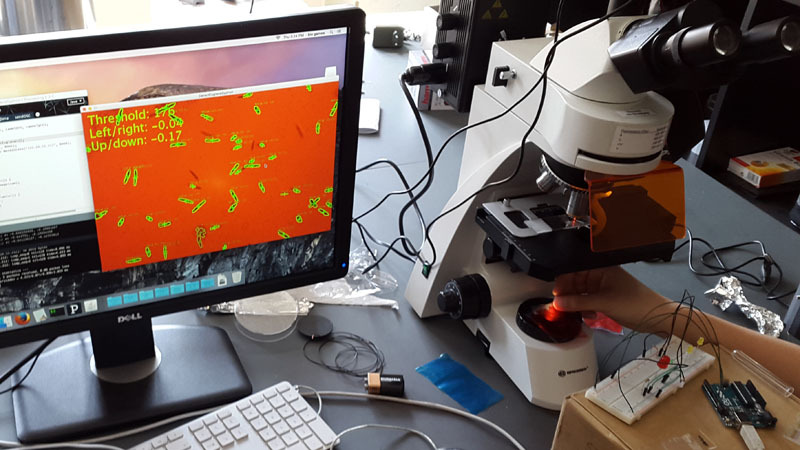 In the workshop, we discuss potential game mechanics for playing with living organisms, and we build a simple prototype connecting Euglena gracilis to the Unreal Engine via a microscope, video tracking and DIY electronics.